It will also lay off some of its managers. Just days after announcing two new engine options for the Q8, Audi announced a reduction in engine types following complications with Europe's WLTP emissions test. In an interview with German newspaper Handelsblatt, Audi CEO, Bram Schot, said the company needs to cut down on expenses. "One thing is clear, our cost base is too high," Schot said in the interview. The German automaker faced an 8.5% decrease in European sales, partially caused by bottlenecks in the WLTP testing procedures. At certain points in 2018, Audi didn't have enough cars to sell, which severely hurt the company's bottom line. Schot confirmed Audi's plan to reduce costs by 15 billion euros ($17 billion) by 2022. Part of this plan includes discontinuing "engines and variants built specifically for a few markets. "Overall, we have reduced complexity by around 30%. We can no longer afford models and equipment that are bought by customers infrequently," Schot said. 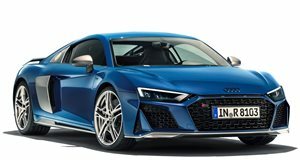 We don't know exactly which engines have been discontinued but we can imagine Audi cut low-volume engines that sell in small numbers depending on the market. We've been hearing for a while now that Audi will downsize larger engines like its V8 and V10, so perhaps this could be the first step towards the demise of large engines. Audi's W12 engine seems like a prime candidate to hit the chopping block. The W12 is still used in the Bentley Continental but the A8 is the only Audi model to use it. In the A8, the twin-turbocharged W12 produces 585 horsepower, which is less than the V8 found in the previous generation S8. 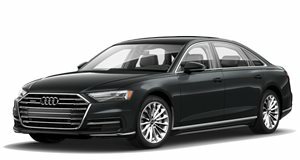 Audi has already said this current generation A8 will likely be the last one with a W12 engine but we aren't sure what other engines could be candidates to be killed off. As of now, it doesn't appear that any of these engine cuts have impacted Audi's US lineup. Along with the reduction in engine options, Audi will also cut management positions. Schot says Audi wants to be "more open, more feminine, and younger."